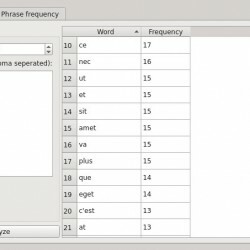 The frequency analyzer helps you find out what words or sentences your using the most. It was added on commit 308fe5e and will be included in release 0.2. 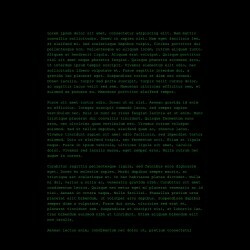 2017 update: manuskript has dropped txt2tags in favor of markdown. Much more used, and many export formats available. 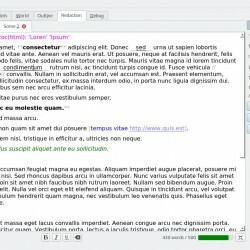 If like me you love to write with lightweight markup and customizable stuff, Manuskript has a built-in txt2tags highlighter. 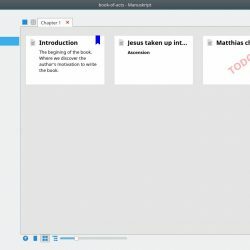 With the outliner, you can see in a single glance the overall status of your book. See what chapters are done and those in need of writing. See which character appear in which scene. Quickly rearrange things if necessary. Write notes and summary for each item as you keep the big picture in view. Focus on writing ! 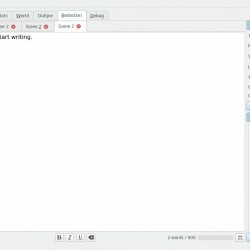 Edit or create your own theme: Or simply import themes from FocusWriter. 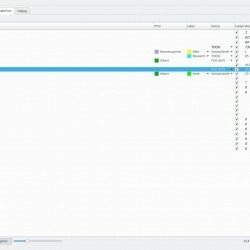 If you feel like you need it, you can even lock yourself until you’ve reached a certain goal: For more details on how to use fullscreen distraction-free mode, go to the wiki. Use index cards to organise your thoughts: notes, scenes, chapters, etc.